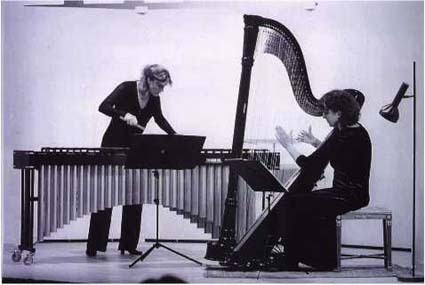 Gudrun and Babette Haag inspire the audience with their combined skills. 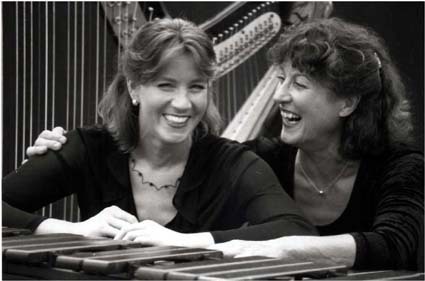 The musical pioneer work is meanhwile encouraged by composers (J.Koetsier, J.M.Damase, H.Genzmer..) with pieces specially written for the Duo. 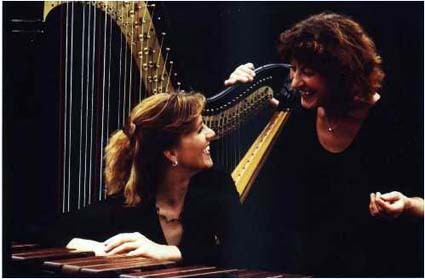 Harp and Marimba: Sparkling strings, brilliant and dancing, melting with the rich and full timbre of the Marimba. 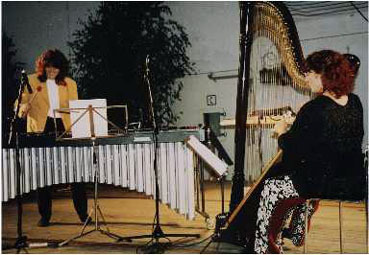 'Arparimba': a combination of the Italian 'arpa' and Marimba.